St. Louis, MO: Stars Design Group is honored to have received the St. Louis Business of The Year Award for 2017 after being selected from a large pool of other potential candidates’ in the area during The City of St. Louis Business Celebration Luncheon Event. Mayor Lyda Krewson and the St. Louis Development Corporation presented the award to Stars Design Group’s CEO Bret Schnitker. This award represents only one of Stars Design Groups many recent successes. SDG has seen explosive growth over the last several years, doubling its employee base while continuing to expand. Stars has seen its client base increase over 400%, bringing more money and full-time/full-benefit jobs into St. Louis City. 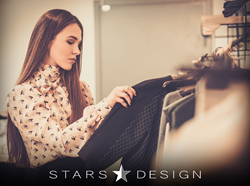 About Stars Design Group: Stars Design Group is an industry leader in full-package apparel manufacturing established 1993. The company is headquartered in St. Louis, MO but has established offices around the globe. SDG offers cutting edge, innovative apparel technology solutions and brings the future to life for their clients, solidly establishing their place as a leader in apparel manufacturing.